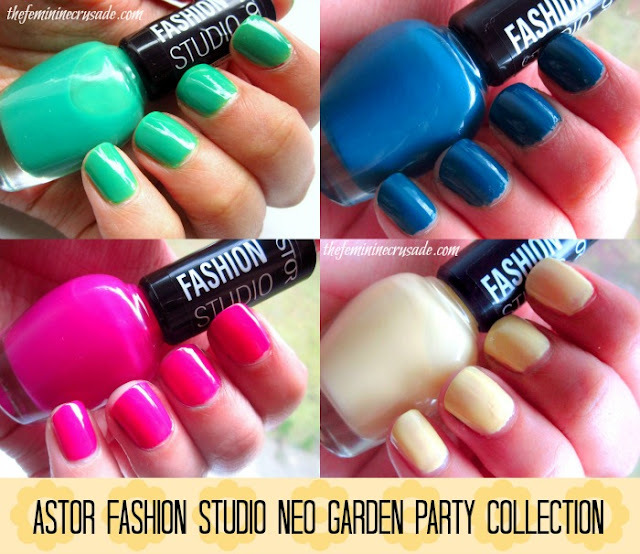 For Spring 2013 Astor released a range of Fashion Studio Neo Garden Party Collection which has bit of both neon and pastel nail polishes. I am swatching four of those shades today. 220 Lagoon Lace – This is neon leaf-y green colour which to my surprise looked quite pretty on the nails. This one has a sheer and a slightly runny formula. I have applied two coats and no topcoat. Unfortunately, my camera just cannot capture the true neon-nish-ness of this colour. It's more green and less teal in real. 229 Soft Hydrangea – I don’t want to pick all pinks as my favourite of the bunch, but I am helpless. This is one of the best, most flattering pinks I have – a bright neon-ish shocking pink that doesn’t contrast against my skin. 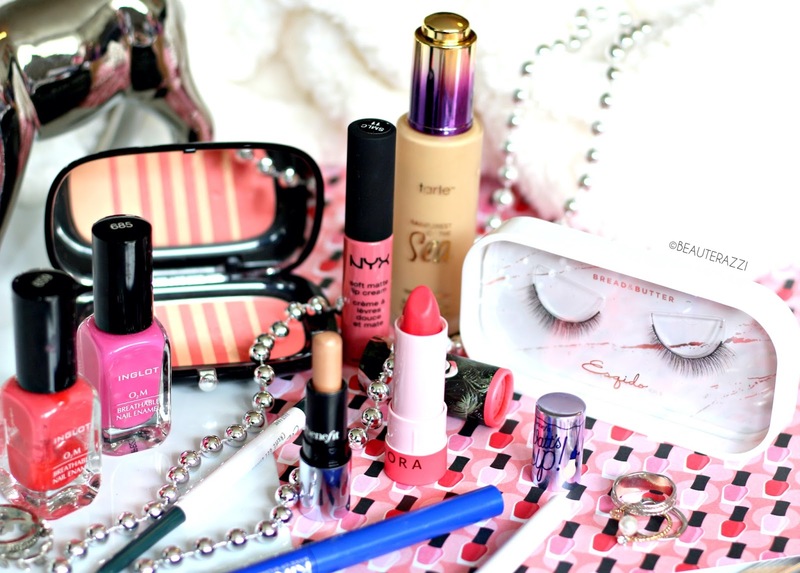 A beautiful colour for Spring! 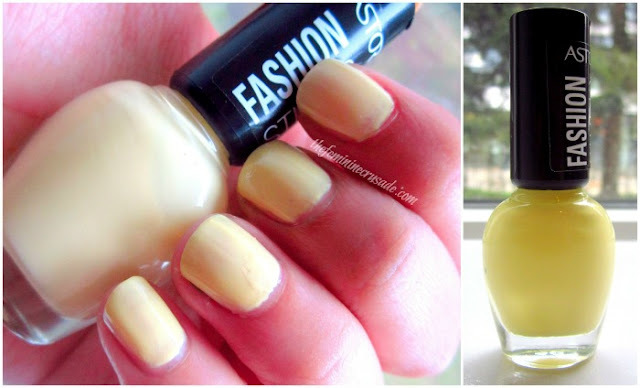 It had a sheer formula and I used two coats without a top coat. 240 Yellow Buttercup – I looked forward most to this shade, since this is my first pastel and I really wanted to like it. Unfortunately, it is my least favourite of all. One, it is a pale pastel yellow that contrasts against my skin. And two, is has a very streaky formula which was very difficult to apply. I have used two coats and a top coat for this one. Again, this is a little more yellow in real. 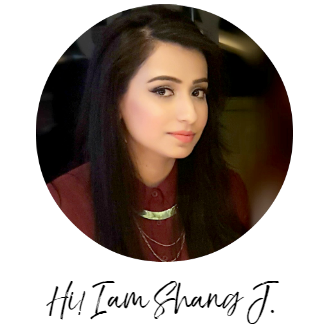 243 Dark Water Blue – This has the best formula out of all these, very smooth and quite opaque that even a coat would be enough. Though, I have used two coats above. 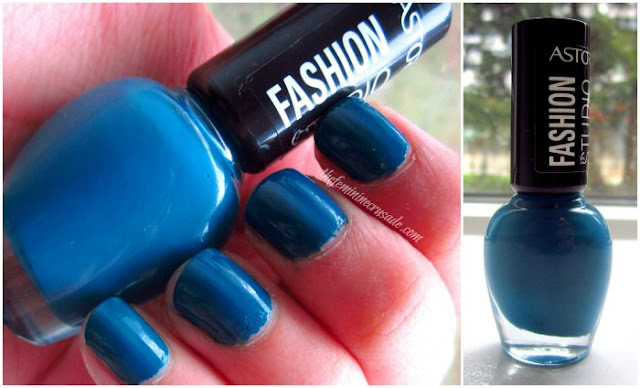 This is a dark teal blue colour which I thought was quite similar to Astor’s 008 Mint Candy without the shimmer. But on swatch Dark Water Blue is more blue-er and Mint Candy more greener. I really love this shade. Very different and chic! I think the shades in the collection, especially the neon ones are perfect for Spring. They are very bright and festive and unique. 255 Karner Butterfly and 237 Orange Cosmos are two others which have really fascinated me and probably will be getting them next time I am out shopping. Each nail polish costs €2.49 and contains 6ml of product. It is available in all stores that stock Astor cosmetics. In Germany, you can find them in DM, Galeria Kaufhoff and Rossmann.